St Charly offers a breath of fresh air in the diverse food capital of Carlton. 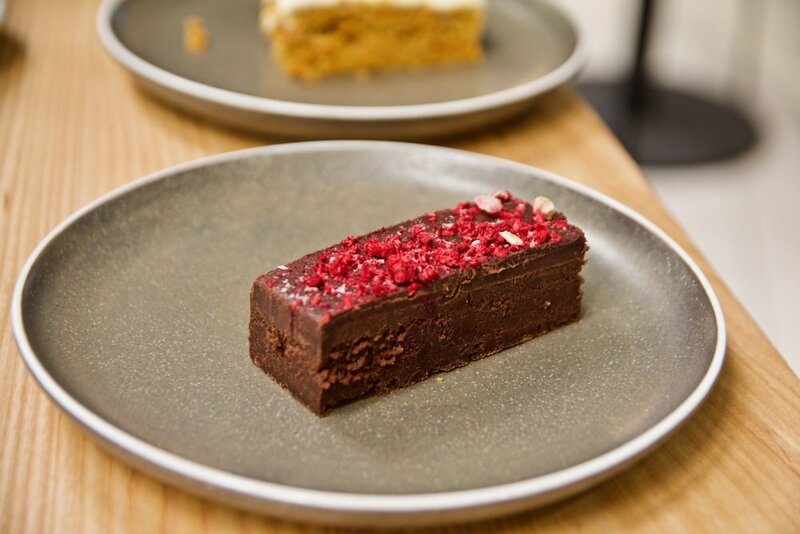 A 90-seat café on Lygon Street, St Charly boasts a slick space, and an experienced team that work tirelessly to deliver a heightened café experience. Inspired by high quality, local ingredients and seasonality, the menu celebrates the diversity of Australia’s modern café landscape, with Mediterranean flavours that balance colour with texture. To reflect the abundance of colour and flavour found on the menu, a sense of playfulness is explored by local design firm Two Design Interiors; through colour, texture and form. 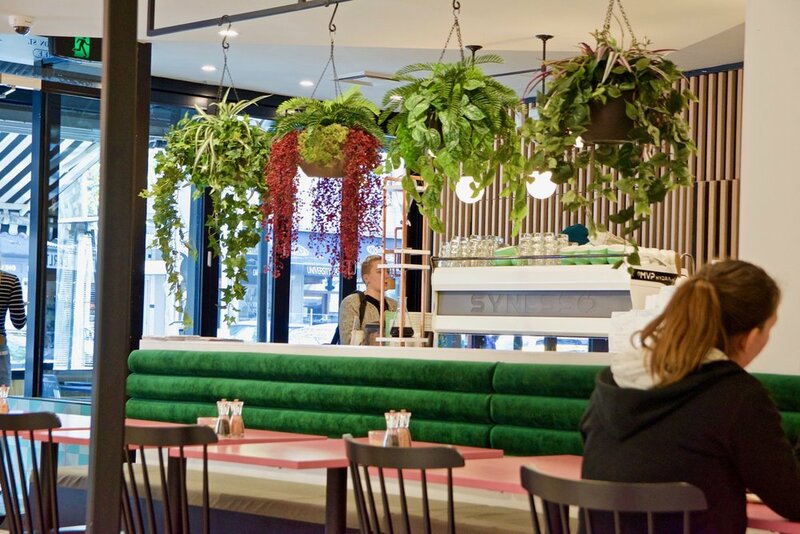 Custom built booths create uniform within the space, while reading more like cubby houses for adults, and colour is expressed through tiles, table tops, and an abundance of greenery hanging from walls and ceilings. Bespoke joinery and unique light fittings suggest the high level of customisation behind each detail – from the space, to the food and the coffee – whilst a matte white coffee machine takes pride of place in the centre of the café. We loved everything we ordered at the café. The falafel salad was a beautiful mixture of textures and flavours that went beautifully with the perfectly made falafel balls. The dish of Sumac crusted lamb fillet was similarly delightful. 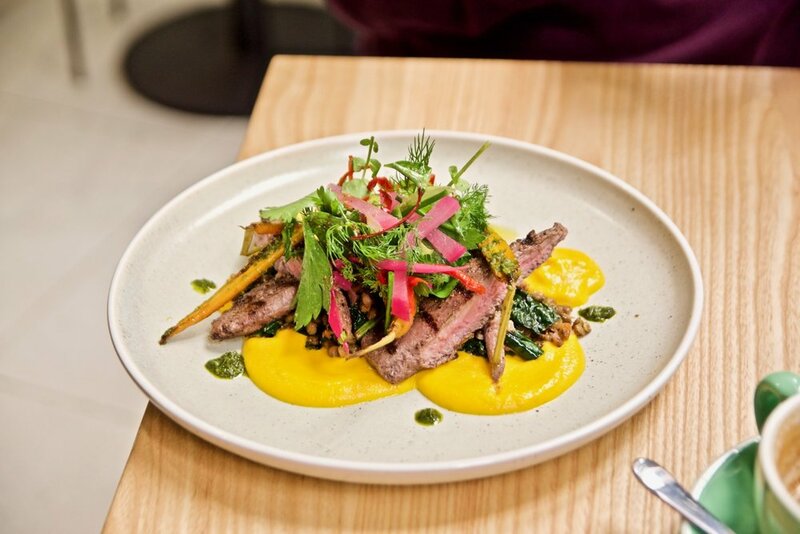 Think perfectly cooked slices of lamb fillet, creamy carrot and whey mash alongside a warm du puy lentil salad, pickled turnip and salsa verde. Simply delicious! The café also has a great range of homemade sweets (the carrot cake is amazing!) 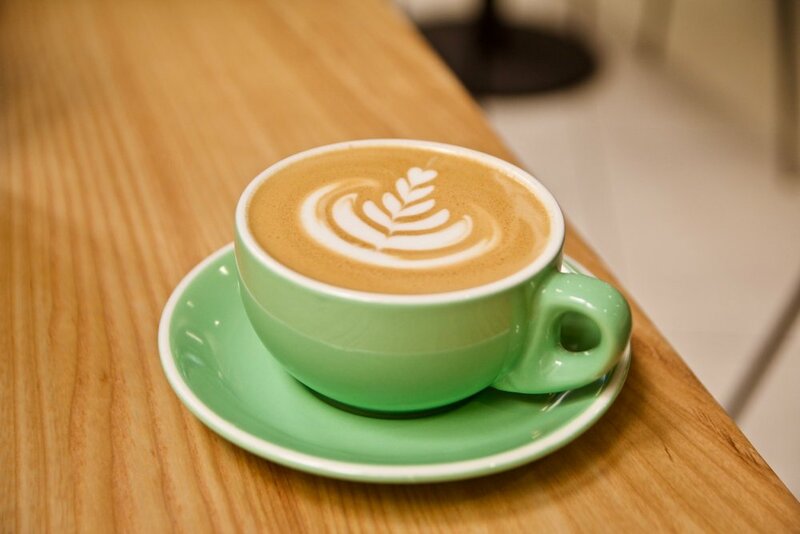 which go down a treat with the coffee which is poured by adept baristas. 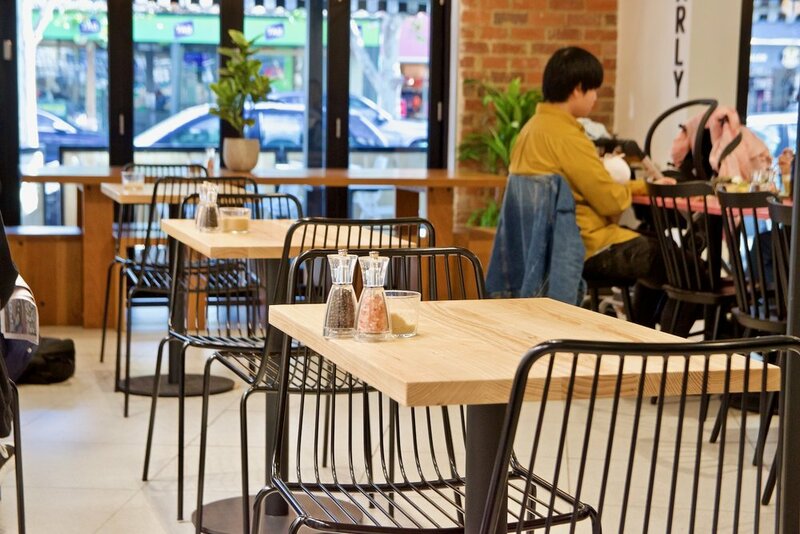 Location: 306-308 Lygon Street, Carlton.